Our team is ready to HELP you no matter what your need is. They are a dedicated group of people who come together each day as a team and provide top notch customer service and quality work for you. They are all trained and certified to ensure you are in good hands and are left "Like it never even happened." 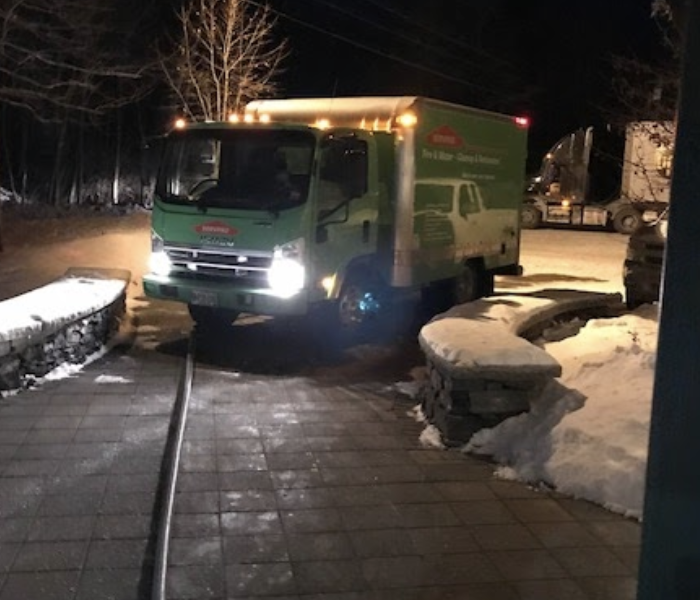 Rich has been with SERVPRO of Bath/Brunswick since 2015 and is industry trained and certified and has several years of customer service/retail management that he brought to SERVPRO of Bath/Brunswick. In his role of Crew Chief, he trains and gives direction to the onsite crew per project, and acts as the liaison between the client, production managers and the office. Rich is the team member who always looks at the bright side of a situation and keeps everyone motivated during a tough clean up. He can always be counted on due to his strong work ethic, sense of pride in his work, and his ability to make clients feel comfortable that they will be taken care of in a time of need. Amanda is industry trained and certified and has been with SERVPRO of Bath Brunswick for quite some time, even taking a hiatus when she moved out of state and worked for another SERVPRO. We are lucky that she returned to Maine and came back to us. As a crew chief Amanda trains and gives direction to the onsite crew per project, and acts as the liaison between the client, production managers and the office. Amanda can always be counted on due to her eye for detail, ability to make clients feel comfortable, motivate her team and desire to go above and beyond. Karen has been with SERVPRO of Bath/Brunswick since 1997 and is a Crew member, in this role she takes on any project(s) that are assigned to her and ensures they are completed the SERVPRO way and meets the client’s expectations or of course exceeds them. When she is not at SERVPRO, Karen enjoys travelling, bowling and spending time with family. Karen has been with SERVPRO of Bath/Brunswick since the beginning and is very much a team player and a constant for us here. Her easy going nature and ability to make the client feel comfortable is one of her best qualities. She makes sure each Friday the day starts with donuts- a great motivator for most of the crew! It's also important to mention that she is often the one to coordinate birthdays and a celebration, ensuring no one is missed. When Karen was asked what she liked most about her job at SERVPRO of Bath/Brunswick, this was her answer: " We have a great SERVPRO family, from Shawn & Marcy to my coworkers. Also, when going out and doing someone’s windows to a real bad fire, it’s the smile on their face and the thanks for being there for them that makes me happy." Mark has been with SERVPRO of Bath/Brunswick since 2013 and is industry trained and certified. In his role, he takes on any project(s) that are assigned to him and ensures they are completed the SERVPRO way and meets client’s expectations or of course exceeds them. Mark can always be counted on for making his team members laugh, his strong work ethic and his sense of pride in his work and desire to learn more to make the client happy. Cyn has been with SERVPRO of Bath/Brunswick since 2016 and is industry trained and certified and came to SERVPRO of Bath/Brunswick with years of cleaning and customer service experience. In her role, she takes on any project(s) that are assigned to her and ensures they are completed the SERVPRO way and meets client’s expectations or of course exceeds them. Cyn is often referred to as the mom of our team, her caring nature and positive attitude helps motivate our team, keeps them in check and make our clients feel comfortable. She can always be counted on for the pride she takes in working with SERVPRO, her desire to make a situation better and come up with new ideas to help make us stand out. 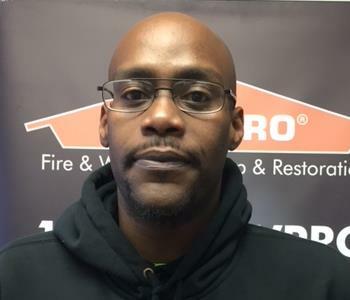 Frank has been with SERVPRO of Bath/Brunswick since 2017 and is industry trained and certified. In his role, he takes on any project(s) that are assigned to him and ensures they are completed the SERVPRO way and meets client’s expectations or of course exceeds them. Frank can always be counted on for his strong work ethic and his sense of pride in his work and desire to learn more to make the client happy.